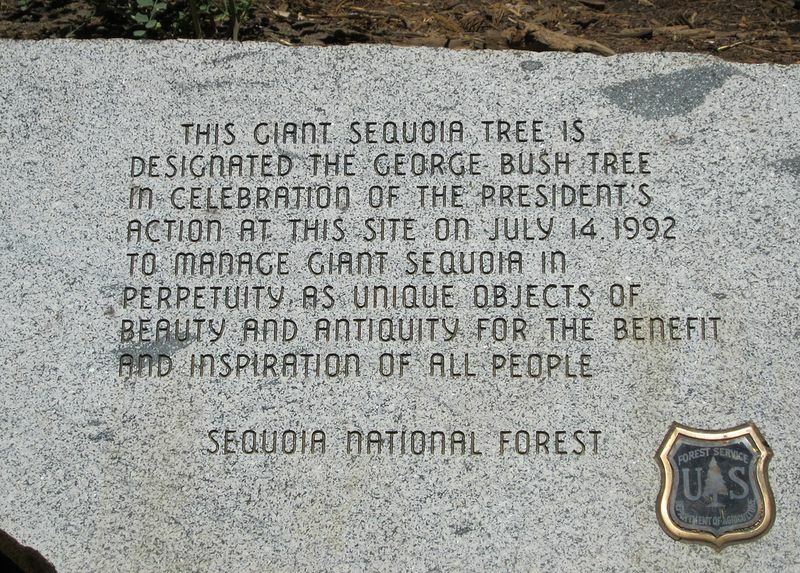 In 1992, US President George Bush (senior) stood under a giant sequoia tree inside Giant Sequoia National Monument in eastern California, and made a Presidential Proclamation promising to protect, preserve and restore all of the sequoia groves on National Forest System lands throughout the Sierra Nevada. The tree under which George Bush stood and delivered and signed the proclamation was named the President George Bush Tree. 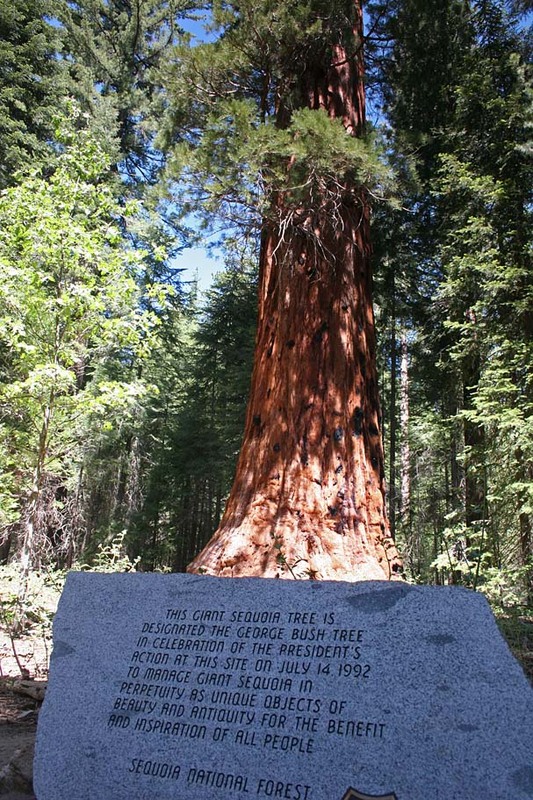 The tree is located at the bottom of a grove called the Freeman Creek Sequoia Grove, a 1,700-acre patch of forest off the Lloyd Meadow Road (Road 22S82), on the Western Divide Ranger District within the Giant Sequoia National Monument on the Sequoia National Forest. The Freeman Creek Grove, also known as Lloyd Meadow Grove, is the largest unlogged grove outside of a national park. This grove is the easternmost grove of giant sequoias and is considered to be among the most recently established. There are estimated to be over 2,000 sequoias in the grove with a diameter of over 5 feet, and more than 100 trees with 15-foot diameter trunks. A couple of trees have diameters of 20 feet. The largest tree in the grove measures 255 feet high with a diameter of 23 feet. 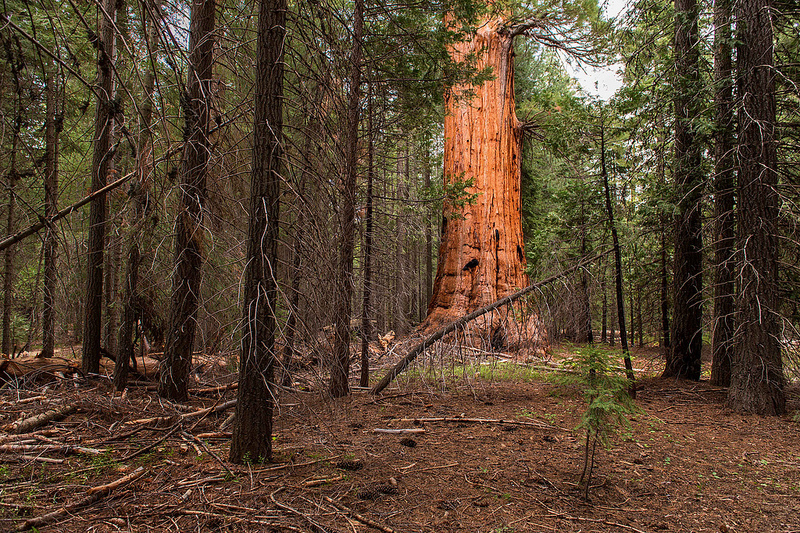 It is listed as the 29th largest Sequoia tree in existence.